I was intrigued when I first saw the bucket camping lights people were making. We don't camp so I thought they might be a great alternative to a carved pumpkin as a DIY Halloween Craft. 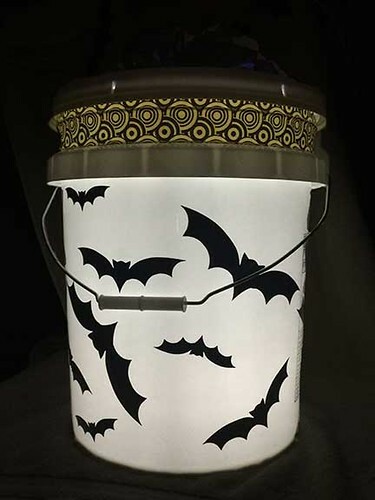 So I pursued how to make the bucket lights and changed it a bit for an alternative Halloween Pumpkin with the assistance of my Cricut Maker. 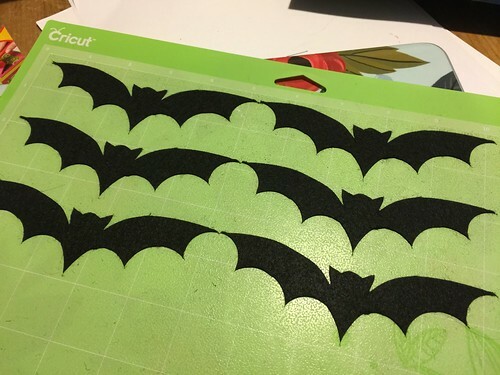 I used the Cricut to cut out the bats from vinyl and felt. The Cricut Maker has exchangeable blades that were used. The Rotary Blade™, with its gliding, rolling action, cuts through virtually any fabric and I used it for the felt. I used the Fine Point blade to cut the permanent vinyl. Both of these blades come with the Maker, there are additional blades available. I want to personally thank Cricut for providing materials for this post. 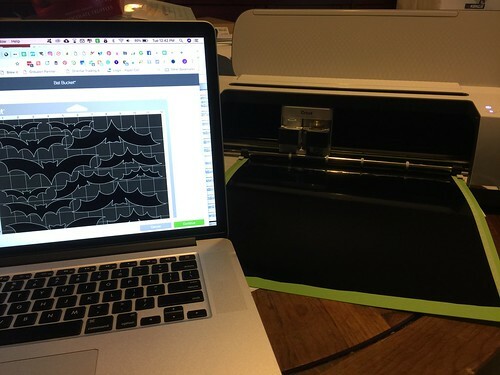 I am a design team member at Cricut. 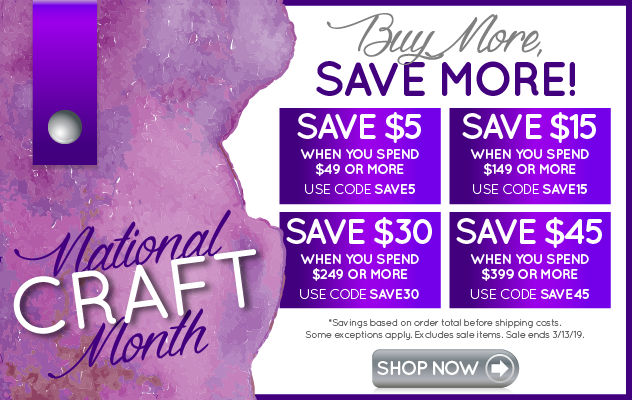 The following links may contain affiliate links. They help support this site and cost you nothing to use them. 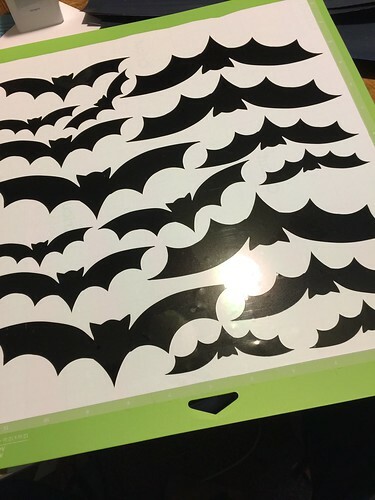 Begin by using the bat template from Cricut for cutting vinyl. Using an entire sheet of 12 x 12 black vinyl, cut out this design. 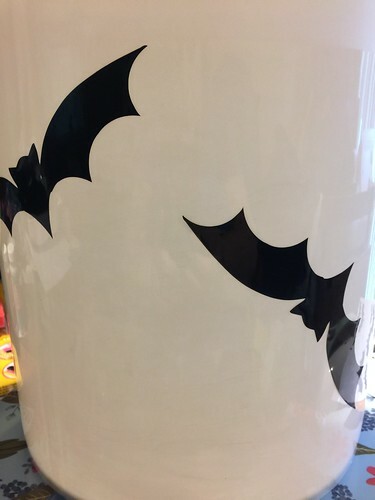 Using the bats like a sticker, apply them to the bucket in a random design. Using the same design as the vinyl. Edit the file to only have the medium sized bats. Then cut the felt with the Rotary Blade. 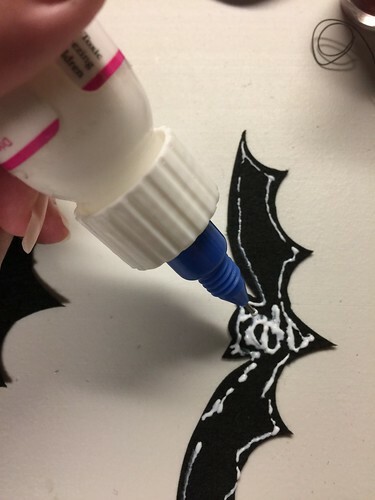 Glue two felt bats together. Follow the next step before gluing together. 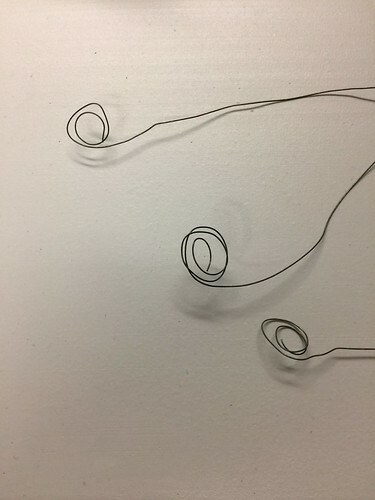 Place a rolled wire between the two felt bats. 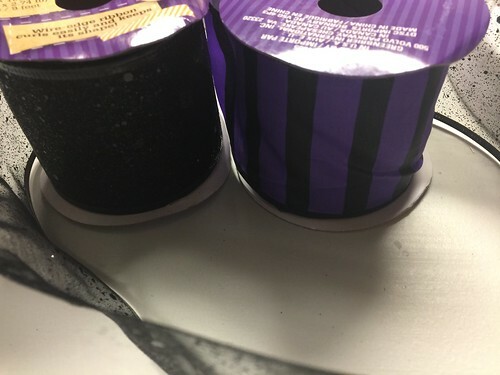 Decorative ribbon from Dollar Tree. 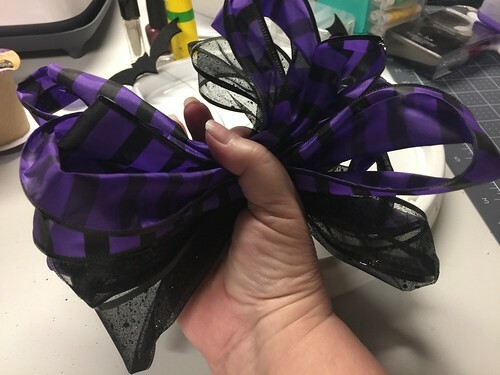 Using both entire rolls of ribbon, make a bow. 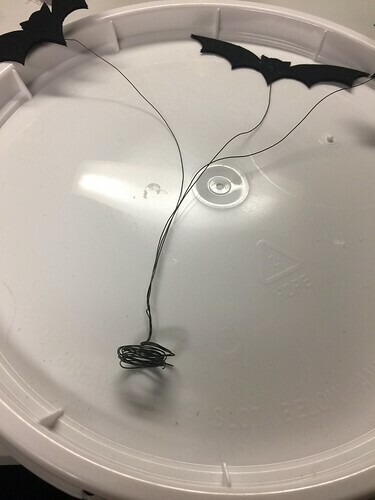 Wrap the wire from the felt bats around the bow. 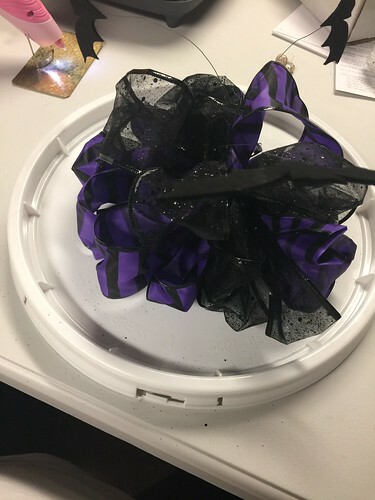 I tried hot glue and super glue to attach the bow to the lid. and fed it through the lid to hold the bow in place. 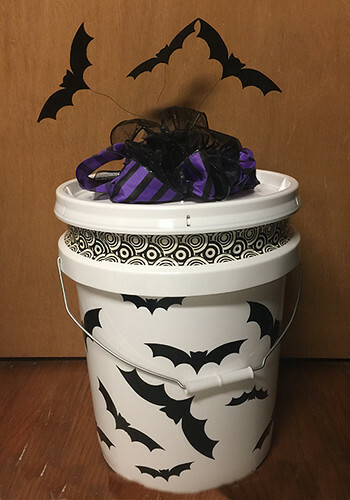 Here is the Alternative Halloween Pumpkin or "Bat Bucket" done. Here is the bucket with the light inside turned on.